WCRS can advise on changes taking place in how NSW businesses obtain workers insurance. icare (formerly WorkCover NSW) has said that from 1 March 2017, “All new businesses will now get a quote and buy a new policy directly from icare rather than a scheme agent”. While this introduces a new level of self-service independence to business owners, it also requires them to know how best to meet their needs without the assistance of a scheme agent. Illawarra and Sydney business owners can rest assured that the team at Workers Comp Risk Services is on hand to explain the changes and assist you to obtain the policy that is right for you. Contact Troy Wiseman at WCRS today, and make sure your business gets the cover you need. 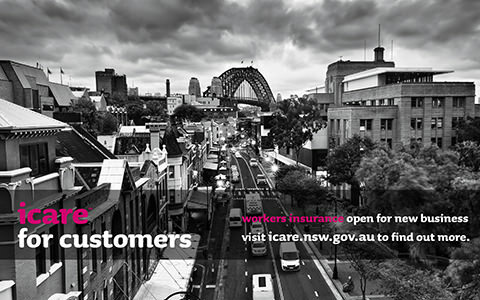 Find out more about icare workers insurance at http://www.workersinsurance.icare.nsw.gov.au/. Wiseman Insurance (ABN 51162439894) is a corporate Authorised Representative (1240085) of Austbrokers City State.